Pour garbanzo beans, minced garlic, and tahini paste in a food processor or blender, pulse together while adding lemon juice and olive oil. 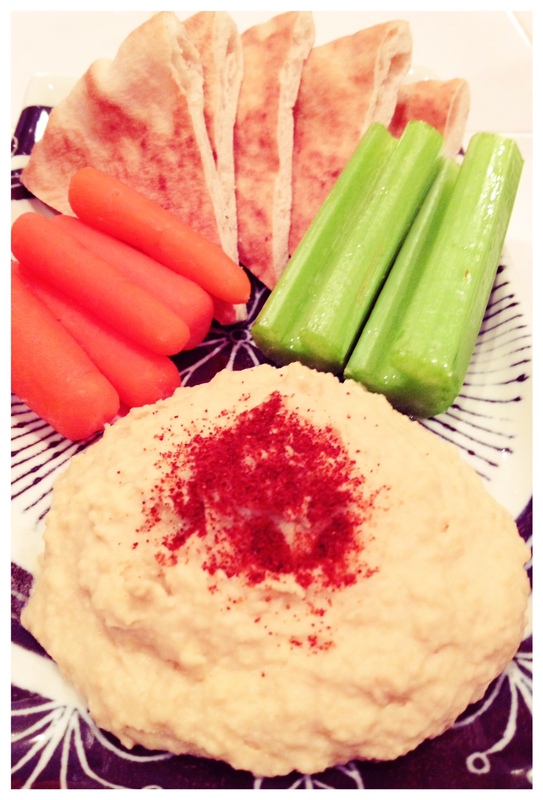 Sprinkle paprika for garnish and serve with pita chips, fresh pita bread, vegetables, etc. TIP: If you like your hummus creamier use more olive oil, but only add in small quantities and keep checking the hummus until you achieve the consistency you desire.